Collections of Revolutionary War artifacts seldom contain the history of individual items. Who used it? Where was it used? That information is lost. A Sketch of the Virginia Soldier in the Revolution identifies which uniforms and equipment were used by reviewing the documentary evidence. Military records, newspapers, journals and letters provided data from which a "sketch" of the soldier's appearance was drawn. Rather than create a generic soldier, this work concentrates on the infantryman from Virginia. After determining what equipment was used by the Virginians, examples are presented and discussed. A short history of the Virginian's role in the Revolution is included. From the battle of Trenton through the evacuation of Philadelphia in 1778, Virginians made up a major portion of the Continental Army under George Washington. Maps illustrate the actions at Great Bridge, Trenton, Brandywine, Germantown, Cowpens, Guilford Courthouse, and Eutaw Springs. 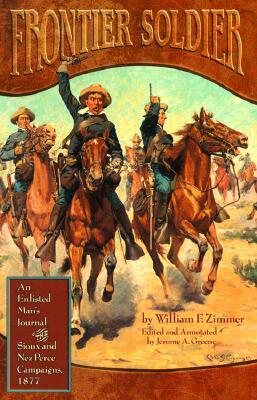 This book is a great resource for reenactors as well as history buffs. Line drawings clearly illustrate the clothing and equipment. Following an introduction to uniforms and equipment, examples are given of the clothing worn by the different Virginia regiments. Individual pieces of clothing are described: hunting shirts, waistcoats, breeches, headgear, shoes, regimental coats, and so on. Firearms and accoutrements-cartridge boxes, shot pouches and bayonets-are discussed fully. Other equipment covered here includes haversacks, knapsacks, tents, cookware, canteens, blankets, razors, and combs. The book contains a full name and subject index. This book is based on research for the author's M.A. thesis. Mr. Gallup has a master's degree in anthropology from The College of William and Mary in Virginia and a B.A. degree in history from Michigan State University. He has also written and edited several works on the French and Indian War.